Printed By – Stoughton Printing Co.
Limited edition of 2000. 180g vinyl mastered at half speed. Gold hype sticker on shrink-wrap and comes with an obi tag. Comes in a white poly lined inner sleeve. Tip-on sleeve by Stoughton, Los Angeles. Does anybody know in which note is the piano tuned? Much like Scenery this is a fantastic reissue. Similarly we get a nice and full soundstage and theres nothing I feel I should compliment it more on than whats been said by others and me. But to nitpick I have to reveal some of the parts Id like bettered if possible. While the bass is great overall I feel like it could have been more stylistically selected. The first track for example could have emphasized its bass some more for emotional effect in segments. Some imaging could also be a bit more precise and effectful, perhaps mostly drums. And while the dynamics might be a little strained on some piano notes its really not something that could probably be improved unless we got a 45 RPM double disc reissue, its really great in that regard anyhow. The vinyl again is very quiet and crackle free so I cant really complain more than this. Another re-release done properly! 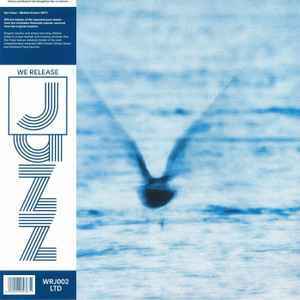 We Release Jazz has done great job with these Fukui re-releases. I've never heard anything like this on vinyl.. You can hear the absolute love and respect toward the artist on these releases. The sound is crisp and dynamic and as clean as it gets! Purely amazing! ...And of course it goes without saying that the album itself is top notch! I just wish all my records would sound half as good as this one. Outstanding sound quality, for the first time I understood what some people are saying when they refer to instrument sound separation, spatial sound feeling and all that stuff. Just sublime, can't recommend enough, lovely performance, great recording and beautifully pressed and presented. Don't sleep on this one. Brain melting good. I wish all records sounded this good.